The Ladies Auxiliary will be praying the Sorrowful Mysteries of the Rosary for Peace at 7:30 PM on Monday, May 6th in the Day Chapel. We will stay for the Benediction of the Blessed Sacrament, which begins at 8:15 PM. Please watch for an announcement in the bulletin — the entire parish is invited. 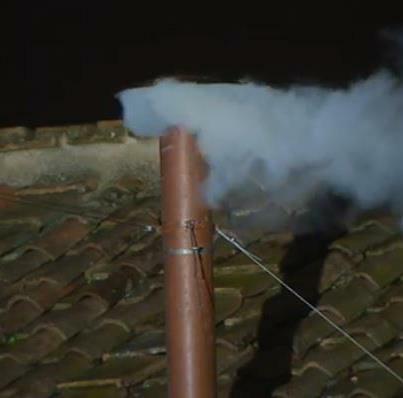 It’s official: white smoke pouring out of the Sistine Chapel chimney signals that we have a new Pope! The billowing white smoke began spilling out of the chimney at approximately 7:06 p.m. local time, indicating the Cardinals had reached consensus on a candidate in the second round of balloting Wednesday afternoon. This means that at least two thirds, or 77 of the 115 cardinals gathered in conclave since Tuesday afternoon are united in their support for the candidate who has now become the 265th successor of St Peter. As the cheering crowds wait eagerly in St Peter’s Square, the new pontiff is changing into the traditional white vestments in what is called the Room of Tears. After that, he returns to the Sistine Chapel where each of the Cardinal electors kneels to offer a sign of homage and obedience to their new Holy Father. Following that ritual, the new Pope will move to the Pauline Chapel to pray in front of the Blessed Sacrament. Shortly after that, the senior cardinal deacon, French Cardinal Jean-Louis Tauran will appear between the red curtains of the central balcony on St Peter’s Basilica to proclaim the famous Latin words ‘Habemus Papam’, revealing the identity of the new pontiff and the name that he has chosen. We have just introduced our Facebook page – what a great time to unveil our new site. All day THURSDAY, FEBRUARY 7, 2013, Moretti’s Ristorante & Pizzeria of Bartlett will donate 15% of your order from their restaurant menu not including sales tax and gratuity to the Ladies Auxiliary of Knights of Columbus, St. John the Evangelist Catholic Parish. Please Note: Other discount offers not valid on fundraiser days. Click on the image to open a flyer which you can print and bring with you to be sure to get the discount. These flyers were also in the church bulletin. Don’t forget to mention the fundraiser when you visit Moretti’s on February 7th. 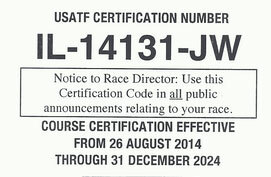 Thank you in advance for your support – many good works can be done with the funds raised. We’d also like to thank Moretti’s Ristorante & Pizzeria in Bartlett for sponsoring this fundrasier. Carol Zahler, Outreach Committee Co-chair and Church Committee chair, is shown here receiving the Lady of the Month award from President Johna Brand. Please join us in congratulating Carol for her contributions to the Ladies Auxiliary and St. John’s parish. Gae DeMarino is a long time member of the Auxiliary and is one of our staunch supporters of all we do – and always with a smile! Thank you Gae for all you do! Unfortunately, Johna didn’t have the certificate at the social, so we’ll have to wait for another time to see the actual award picture.